“People are always talking about Toyota’s dominance, but today SMP and Rebellion were doing the same times as us when they had a clear lap. To have a car that’s been developed for four months doing the same times as a Toyota with 10 years of development is unfair, if we want to call it that, but today they nailed it. Toyota Team President Hisatake Murata backed up that view but of course, Alonso’s comments raised a few eyebrows with rival drivers who feel differently. Have no respect left for that guy. He will NEVER be Graham Hill, no matter how hard he tries to fake the triple. Those who know....know . Are Alonso’s comments true? Errrm, not quite. Even with all the additional helping hands given to the privateer teams in LMP1 ahead of the Fuji round, Toyota’s ultimate pace was still almost a second up on the Rebellions - and that’s before you take into account the acceleration advantage afforded to Toyota but the hybrid system, which is a huge positive when it comes to lapping traffic in a race situation. 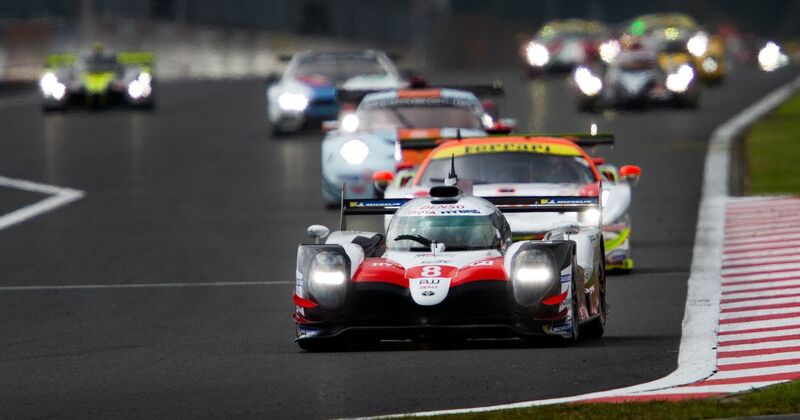 However, he’s also right about Toyota’s “perfectly executed” races having an impact - in Fuji, the winning Toyota spent much less time in the pits than the third-placed Rebellion, suggesting that there is some truth to it. But given the advantage in experience and funding that Toyota has over its rivals, is that really surprising? Plus, even without the time gained during pit stops, Toyota would still be way out in front.